Moisture and epoxy floors. Well, those words do not go together! During my 20+ years in the epoxy flooring business I bet I have said a thousand times, “whoever figures out how to stop floor failures because of moisture will be rich!” While I do not believe anyone has totally figured it out, I do know there are a number of things you can do to limit the risk of a floor failure. 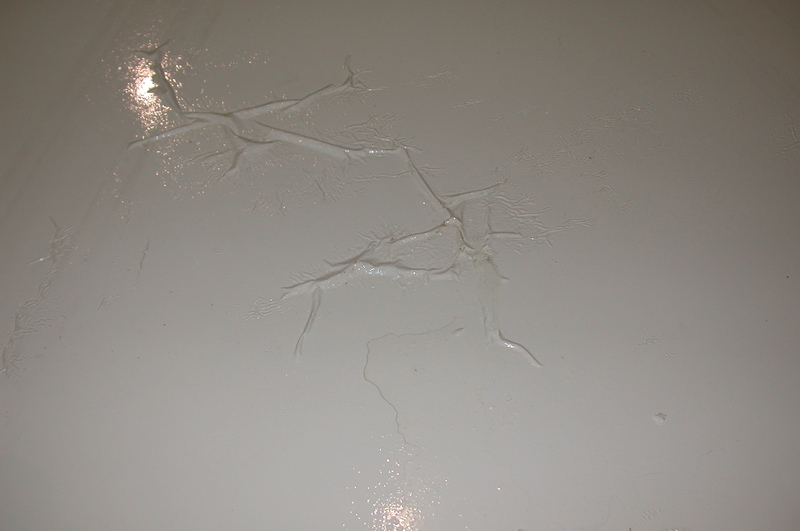 The question is; are you willing to invest a little money before you install an epoxy floor? I personally think that most moisture related failures are not truly caused directly by moisture. Remember, most concrete has moisture in it. The 2 questions that I think are important are – Is the moisture being pulled to the surface? What contaminants are being brought to the surface with it? The first question is easy and fairly inexpensive to answer with a calcium chloride test. The problem is that 99 out of 100 CC test results will exceed the 3lbs allowed by coating manufacturers. This leads you to finding out what contaminants are being brought to the surface with the moisture. The only way to do that is to take a core sample of the concrete and send it off for an in- depth analysis. I highly recommend doing this but most people do not want to spend the money up front when they do not think they have a problem. An in-depth core analysis will run approximately $2,000 per core and I recommend at least 2 cores or more depending on the size of your project. That may seem expensive. The question is; how much will it cost you if your floor fails?